In 1998 Gino & Co. was established to cater to quite simply the elite. G.I.A. CERTIFIED - High End Watches and custom creations of some of the world's most unique jewelry that can be seen in music videos & movies. 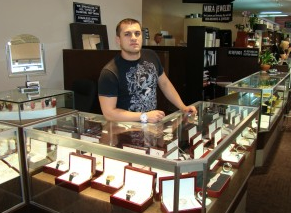 We also buy your jewelry at the highest possible prices (even above market value in some cases).